Ford plans to spend US$1 billion over the next five years on the development of an artificial intelligence system for driverless cars. 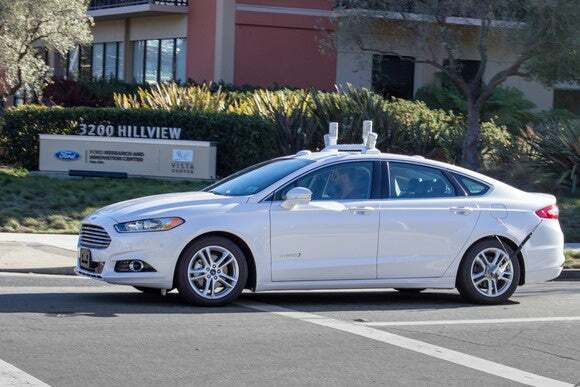 Ford will investment the money in Argo AI, a start-up founded by former leaders from Google and Uber's self-driving car research units, and they will work toward the goal of a system that's ready for deployment in 2021. The research will be focused on a virtual driver system capable of operating at what's called "SAE level 4." It's one of five levels defined for self-driving cars and specifically describes an autonomous car that's capable of completely controlling the vehicle in almost any condition. After it has been engaged, drivers do not need to pay attention to the driving. It's a step more advanced that many of today's demonstration systems, which still require driver control in many situations, and one step down from full automation. Ford has already said that it's hoping to have a level-4 commercial vehicle ready for sale in 2021. Argo AI is based in Pittsburgh and was recently founded by Bryan Salesky, who headed hardware development at Waymo, Google's self-driving car unit, and Peter Rander, who was an engineer at Uber's autonomous car research project. Like other auto makers, Ford has already begun researching autonomous driving technology, but Friday's announcement, which also makes Ford majority shareholder in Argo AI, goes beyond the company's own cars. Ford said the technology could be licensed to other companies looking at autonomous technology. That's a departure from much of the driverless car research to date, which has been focused on the company's own vehicles. Argo AI will have about 200 employees working on the project once it gets up and going.